Arizona recognizes numerous types of assault charges, each with separate prerequisites and penalties for violation of statutes. From simple assault to assault on peace officers on up to aggravated assault, the state believes in keeping all residents safe as evidenced in their stiff sentences. Defense attorneys often fight for a balanced judicial system where persons accused of crimes are afforded their day in court to face accusing parties. Judicial imbalance occurs in cases, such as assaults, where persons are wrongly accused or otherwise charged without evidence supporting claims of battering an individual. Arizona assaults can be charged if defendants have strangled, beat, thrown or caused physical harm to another in any way that violates their peace and injures them. As the name implies, basic assaults are attacks on persons not familiar to the attacker with the intent to do physical harm. Battery carries identical penalties, with one exception: to be charged with battery, the simple assault must have been reckless or preplanned. 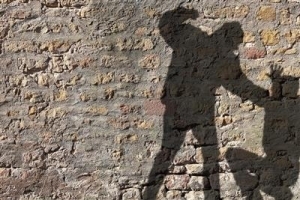 Unlawful touching, which is placing a body part upon another person in a rude, cruel or insolent manner that causes injury, is another form of battery. Charges of this magnitude stem from another’s attempt, whether successful or not, at putting another in danger of being battered. So, if a defendant were to lead another individual into a situation they knew would get them battered, reckless endangering charges would be appropriate. Engaging in, or threatening to engage in, acts which detriment the peace and prosperity of Arizona, its cities and municipalities, or the United States government are charged as terrorist threats, which can not only land someone in Arizona prison but may bring Federal charges far more severe than state courts could impose. Terroristic threats are charged as felonies. One element that’s vital to any defense team’s work is discounting the level of victim’s fear. The more fearful the victim can prove in open court, the stronger the state’s case becomes. Witnesses simply identified the wrong person in the alleged assault. These and other defenses help reduce or dismiss charges against those wrongly accused. It’s important that all facets of the assault are investigated from an attorney’s perspective as coerced statements are popular in law enforcement. 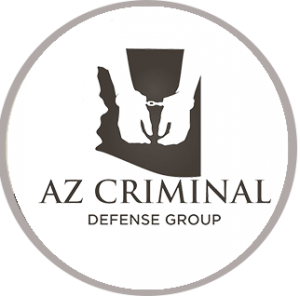 Click here for additional information on understanding assault charges in Arizona. Clearly the sentencing guidelines above leave an unappetizing feeling in the minds of the accused. Enhancements to these charges are possible, especially if repeat offenses in Arizona and other states are discovered. In other words, you need every ounce of legal energy working toward an acquittal, or reduction in charges. Your future hinges on successful defense of charges placed before you. Gun ownership rights may be revoked and a career-ending charge which makes advancing onto better opportunities hard. Never fight assaults alone.